The average American over the age of 30 will gains 5 pounds a year. Some estimate that 60 percent of our population is overweight. Of course, the best way to avoid obesity is to fight back temptation and never eat those unwanted calories in the first place. Don’t worry there is a way to keep weight gain at bay, and that is through EXERCISE!!! Whether it’s pounding the pavement, peddling miles on the bike, or climbing those stairs that seem to go nowhere, it’s all about cardio exercise. But other than a sweaty t-shirt, what do you have to show for your workout? Ripped abs, tone arms, and if your exercising the right amount of time you could reap the full health benefits of cardiovascular fitness. Running is one of best activities you can do. It doesn’t require special equipment and you can do it anywhere. Best of all, you burn serious calories, especially if you add hills and sprints. 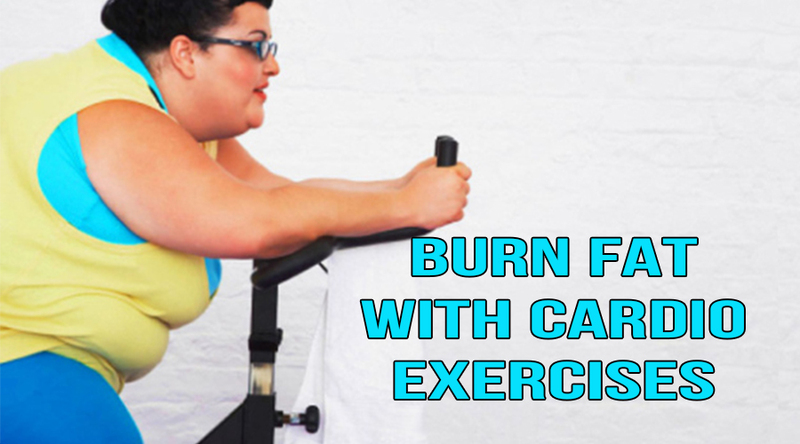 A 145-lb person can burn 300 (at 5.2 mph) in 30 minutes. The downside is you need to watch your knees and ankles for any discomfort or pain. Outdoors or indoors, cycling gives some great cardio. Using all the power in your legs, you’ll increase endurance while burning lots of calories, anywhere from 250-500 in 30 minutes, depending on how fast you go and how high your resistance is. The elliptical trainer is a great way to build endurance while protecting your aching joints from high impact activities. Plus, if you use one with arms, it’s just like using a cross-country ski machine. The elliptical trainer is also a good choice for runners looking for a break from pounding the pavement. A 145-lb person burns about 300 calories in 30 minutes. Whether you’re on a gym machine or swooshing over miles of snow, cross-country skiing is an incredible cardio exercise. What makes it so great is that it involves your upper and lower body, which means it doesn’t take much to get your heart rate soaring. A 145-lb person burns about 330 calories during 30 minutes of skiing. Swimming, like cross-country skiing, is a full body exercise. The more body parts you involve in your workout, the more calories you’ll burn. Spend 30 minutes doing the breaststroke and you’ll burn almost 400 calories. Best of all, your joints are fully supported so you don’t have to worry about high-impact injuries.